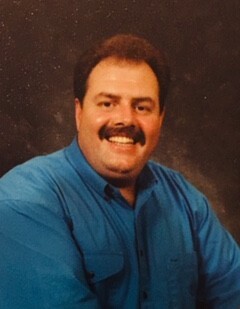 Phillip Vance Harris died on November 21, 2018 at the John F. Keever Solace Center in Asheville, NC. He was 62 years old. Phil was born in Asheville and lived in Marshall for the last several years. He is survived by his wife, Sarah D. Harris, and sister, Liz Harris-Lamkin (James) of Atlanta. He is pre-deceased by his parents, Vance and Irene Harris of Asheville. Extended family, longtime friends, and his church family have been a supportive and loving presence. Phil endured several painful losses; and some of the losses were results of what Phil described as “my own poor choices.” Through these experiences, though, he learned a lot about himself. He learned to love and trust God deeply and authentically. He learned to forgive himself as he was forgiven, to live humbly, to accept and cherish life as it is, and to live with gratitude and delight, especially with his wife, Sarah. In the last years, and even this year while quite ill, Phil faithfully proclaimed and made witness to spiritual healing and hope to all. He assisted Rev. Louis Grant in two congregations through preaching, Bible studies, and congregational care. He passionately visited and held services at the Western Carolina Rescue Mission. Phil received outstanding care by providers at Pardee Cancer Center in Hendersonville. A special thanks to Cathy Jenkins, his Cancer Care Navigator. In Asheville, Care Partners’ palliative physicians and the entire staff at Solace were compassionate and helpful in every way. Cancer did not get the last word. Love did. Phil will be missed by all who loved him, even as family and friends trust him to God. A memorial service will be held at 3pm on Sunday, November 25 at the Little Mount Zion Baptist Church, 21 Hillside Street, Weaverville, NC, officiated by Reverend Louis Grant. Memorial gifts, in lieu of flowers, may be made to Little Mount Zion Baptist Church, PO Box 1532, Weaverville, NC 28787.